"Thank you so much for everything! You've been a great friend to us and Tressel!. I don't think there is a better trainer in the city!" "Couldn't resist showing you the progress! Samantha now waits for us to go to in or out of the elevator and she rides peacefully with other dogs. We just finished seeing that aggressive growling dog and I had her sit and look at me and she was great! Thank you so much!" 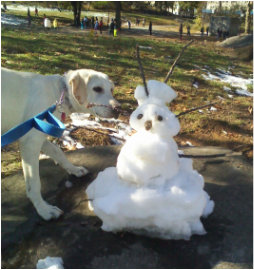 "Daisy was a different dog in the park today. You are a miracle worker!" "Drew has been working with Layla for over two years and she is a delight on and off leash, and in the apartment. 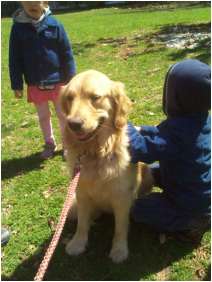 Drew is fantastic in his dealings with Layla, and also with me and my girls as Master on the issues that arise from the complexity of owning a dog in NYC." "I first met Drew through a mutual client - a Golden Retriever named Bug! Drew was working on training with Bug, and I was providing dog walking and sitting for Bug. Drew has sent me several of his training clients when they need walking or boarding. They (the owners) all rave to me about him and I can tell that Drew is a great trainer by the way the dogs who he works with behave. They walk well on the leash, respond to commands, and are well-mannered. Dogs are lucky to have a trainer like Drew...he's good at what he does, and he truly cares about their well-being." ​"Thank you sooooo much for all the amazing and thorough info you provided!" "I moved to Manhatten from rural upstate New York almost four years ago. Drew was one of the first people who volunteered to show me how to help my aging dog, Caleb adjust to urban life. He taught us, for instance, to deal with the complexities of Central Park, with its multiple dogs, smells, and other obstacles. This was not easy for a dog who only knew how to run free in acres of woods. Drew even took the time to experiment with cues and whistles to deal with Caleb's diminishing hearing ability. Caleb is now turning 15 and is an authentic city dog. I can't thank Drew enough for his kindness, patience, and friendship." "I met Drew Watson almost 3 years ago in the park with a lab puppy I was taking care of. His energy, enthusiasm and pure love for dogs came pouring out of him. I adored him instantly. He helped my family and I beyond my expectations with 'Sam the puppy.' He is currently working with 3 other dogs I know. Drew was born with a gift and a passion for dogs which is very rare to come across. He has a unique quality to know exactly the needs of each dog, no matter the breed or age. It is an honor to have Drew in my life and a comforting feeling that no matter what question big or small, he will always be there. Thanks Drew!" "Everything you taught us WORKED! On our walk home, we encountered several (more like 20) dogs and he didn't even pull on the leash, let alone bark at them. He stayed right next to me on the leash, never pulled and was an absolutely perfect dog. Thanks so much for all of your guidance. We knew we had an awesome dog, but didn't know how awesome he would turn out. Thanks so much. We want to work on many more things. But right now, all of the socialization work we did over the past couple months has really worked. We are so happy!"